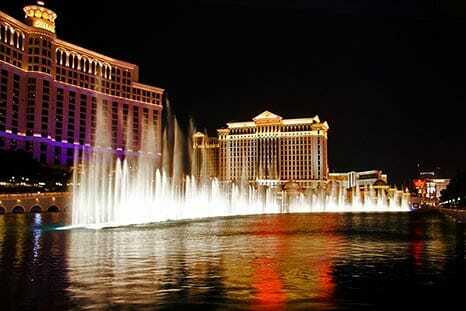 Although Las Vegas is seen as an adults playground. There is still plenty to do if you have children who are tagging along. This can also provide any family with something very different to the regular attractions normally associated with Vegas. Here are a few Las Vegas activities the entire family can enjoy. Las Vegas family activities don’t get much cuter than the animals and the zany Popovich who is in control. With numerous cat and dogs which happened to all be strays before being taken in by Popovich, there are many tricks on show that will amuse children and adults alike. In between the animals are European styled jugglers and acrobats so there is enough variety that can make a couple of hours fly by. Anyone who wants to save the planet will love a tour around the Station. With a training device that guides you around all of the exhibits the science is explained of how the Avengers obtain their mystical powers. It offers a full interactive training exercise that keeps the interest flowing during the visit. No one ever said that saving the world would be a walk in the park. From one of the most outrageous rock bands of the golden years is KISS and to top it all their inspired Las Vegas mini golf center is an onslaught on all the senses. Couple this with the zany mini golf course and the whole family will have plenty to laugh about. A live DJ blasts out the music, so if it’s peace and quiet you’re after this might not be the place. Off the 18-hole course there are many arcade games to stretch out the visit and a KISS museum which is filled with memorabilia that will bring back memories to plenty of moms and dads. This is the number one interactive wax exhibition in the world and it deserves this accolade easily. There is plenty to explore through the 8 rooms where you can relive the movie “the hangover” or get close to Lady GA GA and Spiderman in equal measure. Take part in the top 4D experience as a crime fighter and then enjoy viewing the hundred plus figures currently on display. Where touching the figures is normally frowned upon, here in the Las Vegas Madam Tussuad’s it is actively encouraged. This is only a handful of activities available which are suitable for the younger child in mind. All age groups can be catered for and even the big kid in all of us can find something to suit.